But can he teach me to stop killing my Sims? 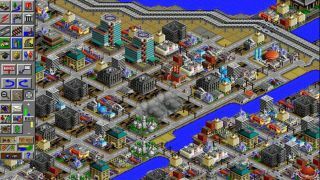 SimCity and Sims creator Will Wright has taken a brief detour from making games to teach a 20-part game design course for MasterClass, a company that sells video classes taught by the likes of author Margaret Atwood and musician Carlos Santana. Wright’s been designing games for over 30 years and with SimCity inspired countless city builders, and even seminal games like Civilization. It spawned a series of simulations, too, leading up to EA’s DLC money-maker, The Sims. So, yeah, he probably has a few things he could teach people. The course isn’t for people looking for advice on how to break into the industry, and Wright hopes that game developers will also take the course. There are game design critiques and practical stuff exploring different systems. Wright’s also working on a new game, Proxi, which sounds intriguing but has unfortunately only been announced for mobile, so far. It’s a sim where you create a world out of memories collected by your personal AI, the titular Proxi. It’s still a year away.